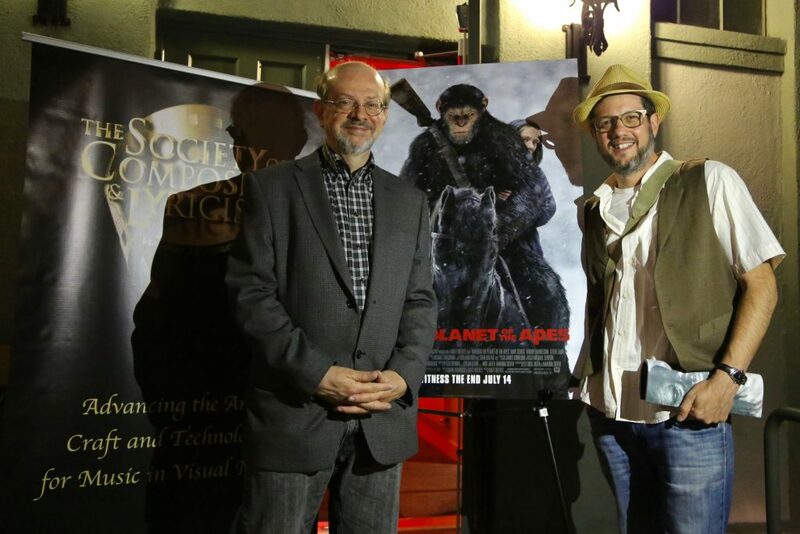 Last night was a busy evening on the Fox Studio lot where two screenings of War for the Planet of the Apes were shown simultaneously. 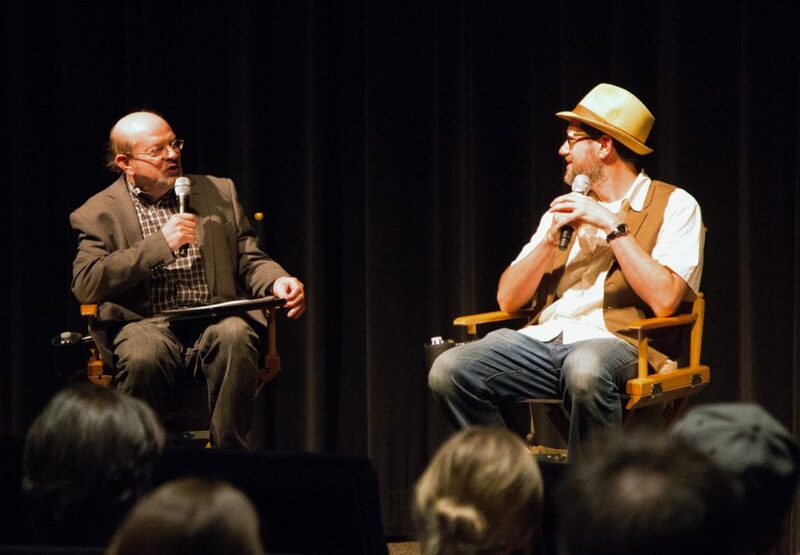 Jon Burlingame, leading writer on the subject of film of music and films for television, interviewed Michael about the process of scoring War at the event hosted by the Society of Composers and Lyricists in The Little Theater. 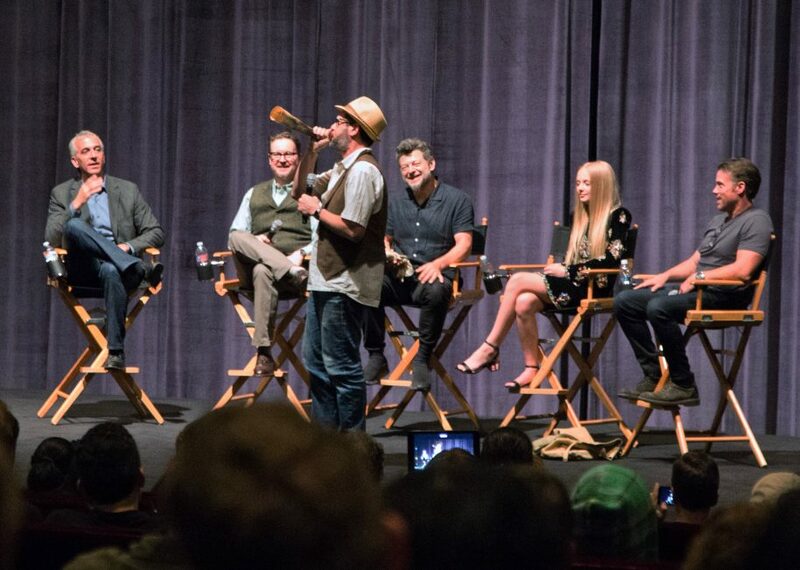 Immediately following, Michael sprinted to join the panel discussion hosted by Scott Mantz of Access Hollywood, that included Matt Reeves, Andy Serkis, Amiah Miller, and Terry Notary on stage at the Zanuck Theater. The ram’s horn that Michael is demonstrating was used on both Dawn and War (actually played by Michael himself) as well as on the original Planet of the Apes film scored by Jerry Goldsmith. The ram’s horn was gift from one of Michael’s percussionists, Emil Richards, who played on the original soundtrack.